Using Schulte’s Exclusive Fixed Knife Technology, crop residue is slammed into stationary fixed knives, mounted in strategic positions under the deck of the cutter by free swinging blade sets moving at up to 16,000 feet per minute. 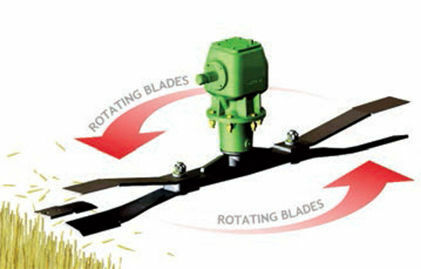 Fixed knives can be easily removed to cut green grass, pasture or set aside making the Schulte cutter a multipurpose tool as compared to traditional flail choppers. 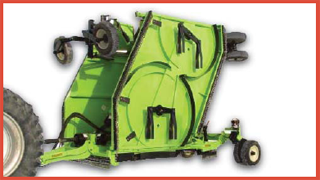 Fixed knife units can also be used in orchard or vineyard prunings to mulch branches. Fixed knives are an option on the following Schulte models; FX-318, FX-520, 5026, FX-530 and FX-742.